Tsai Ihusan. Photo: Uni Lions. Less than a week after securing a deal with Japanese franchise Chiba Lotte Marines, the Tuatara have formed a partnership with another one of Asian baseball’s most storied ball clubs. “We are forming some important bonds with major baseball organisations that will have a massive impact on our upcoming season and future ABL seasons, too, but just as importantly these partnerships will help the sport grow across New Zealand,” Tuatara General Manager Ryan Flynn said. 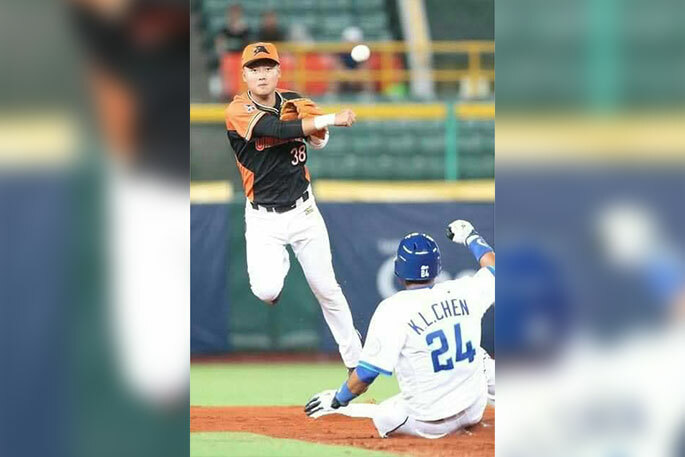 “The Lions are the premier team in Taiwan and have a massive following in Tainan and all over Taiwan, one of the world’s most respected baseball nations. “We appreciate New Zealand Baseball and Auckland Tuatara organizations to provide such great opportunity for players from the Uni-Lions Baseball Club to experience the great culture and atmosphere of baseball,” Uni Lions GM Tai An Su said. Flynn said the three players heading to Auckland, plus the commitment of the organisation to help develop the nation’s coaches and young players, will now allow the Tuatara and Baseball New Zealand to further grow the sport and help those who want to be taught by world class professional athletes. The trio will arrive in New Zealand in early November prior to the team’s trip to Brisbane for pre-season games on 8 November. Tickets and membership will go on sale this week for the Tuatara’s three series of home games.